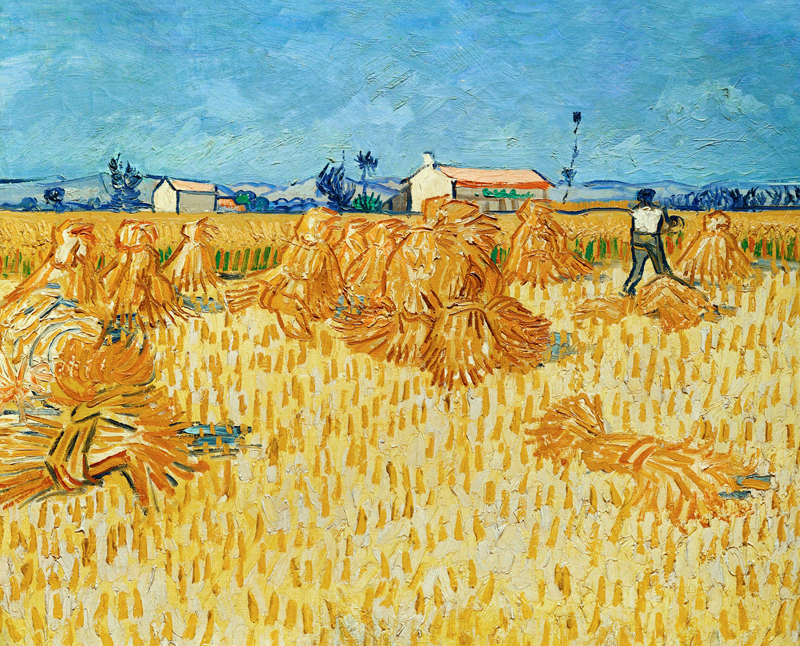 “Harvest in Provence”, Vincent Van Gogh, 1853-1890. The kingdom of God is like a lumbering corporation. This is why our churches need to be large to be successful. We need Senior Pastors, Executive Pastors, Senior Associate Pastors, Associate Pastors, and a legion of staff if we are to do God’s work effectively. Could it be that the kingdom of God really is like a mustard seed versus a lumbering corporation? Which better follows the function of the gospel, a corporate hierarchy, or a bag of mustard seeds? Could it just be that our churches work despite our hierarchies rather than because of them? Are there mustard seeds under foot? If the kingdom of God really is like a mustard seed versus a lumbering corporation what difference would this make for your church? Gogh, Vincent van, 1853-1890. Harvest in Provence, from Art in the Christian Tradition, a project of the Vanderbilt Divinity Library, Nashville, TN. http://diglib.library.vanderbilt.edu/act-imagelink.pl?RC=55315 [retrieved June 12, 2012]. This entry was posted in Religion and tagged Mark 4 on June 12, 2012 by Steve Godfrey.